This was an interesting read for me. I'd give it 3.5/4 stars. I found it free flowing and easy to get into. It had just what I was looking for: mystery, love, family drama, and intriguing characters. Nadine Chambers has been keeping a huge secret for years. She knows it could completely tear apart her family, but as time goes by she knows the truth must come out. She tries to come up with the best way to explain it to everyone, especially to those it will have the most impact on. Autumn is Nadine's youngest daughter. She is facing struggles in her own life and marriage, so she turns to the comfort of her mother which leads to her finding a mysterious letter. A horrific spiral of events added to the discovery that the letter brings are the beginning of a life changing discovery for Autumn and her family. The past is revealed, and with it comes more than Autumn could have ever imagined. As I read this book, I thought I knew exactly what was going on and what was going to happen, but I was so wrong. I won't spoil it, but I will say this author managed to throw me completely for a loop in a big way. I would definitely recommend this book to fellow readers looking for a somewhat emotional and dramatic read. I will say it did end with a bang and left me thinking. Overall, a nice and different read for me. Kristin Noel Fischer was born on the island of Guam and has always loved the water and sunshine. Growing up, she spent endless hours fantasizing about touring with the Harlem Globetrotters or becoming a circus performer. In fact, her childhood daydreams were so vivid, she seriously worried about her overactive imagination. Little did she know, despite her horrible spelling, she was, simply, a writer. After high school, she lived in Costa Rica and later Japan, where she journaled extensively about her experiences. She worked as a nanny in Boston before obtaining a degree in Biology from WSU. Kristin now lives in Texas where she enjoys biking, yoga, and spending time with her husband and six kids. 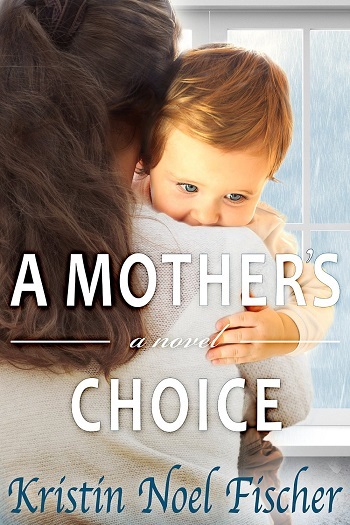 Jacki reviewed her personal copy of A Mother's Choice by Kristin Noel Fischer for this post.